While the EMD GP60 signaled the end of the builder's line of four-axle, "General Purpose" road switchers, it likewise was the first of what is commonly considered "third generation" diesel locomotive designs. The GP60 heralded EMD's latest technologies, mostly in the form of on board electronics and microprocessors, and was the most powerful Geep the builder ever produced. Interestingly, despite being cataloged by Electro-Motive Division in the mid-1980s the GP60 actually sold better than its predecessor the GP50 with most sales split between the Southern Pacific and Atchison, Topeka & Santa Fe Railway (Santa Fe). 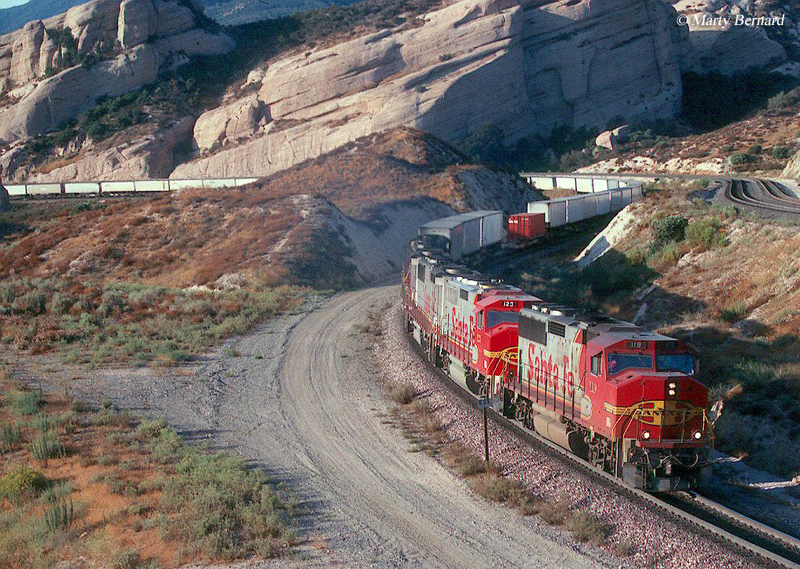 Since the last unit was only outshopped in early 1990s, nearly the entire fleet continues to operate regularly in freight service on Class I railroads. As the fleet ages and is sold you will one day likely see them in service on smaller lines. In addition, many years down the road GP60s will very likely be preserved at museums or in operation on excursion trains. 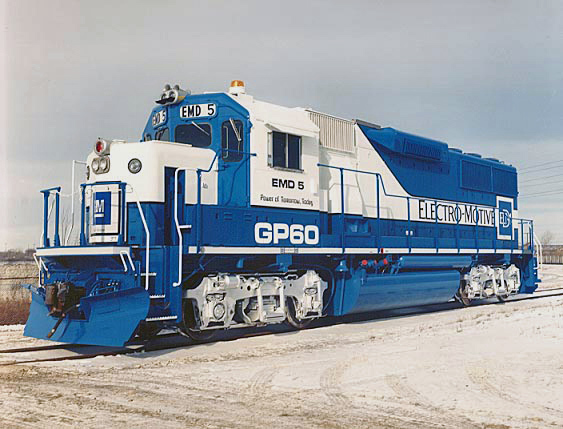 The EMD GP60 followed the GP50 beginning production in late 1985. During this era General Electric had already taken over first place in the locomotive manufacturing market and EMD was scrambling to catch up. Its GP60 was unable to create any serious inroads into GE's market share although it did sell marginally well with nearly 400 units produced. The GP60 featured General Motors' 16-cylinder model 710G3A prime mover which allowed it to produce a very respectable 3,800 horsepower. Also, using GM's D87 traction motors the model could produce a continuous tractive effort rating of over 62,400 pounds continuous and 65,000 pounds starting. However, what really set the EMD GP60 apart from earlier Geeps was its advanced on board computers and microprocessors which controlled everything from the engine's performance to braking applications. While these advanced computers required a more specialized mechanic to maintain they replaced numerous relays and wires. This sensitive equipment could be found to the rear of the cab interior behind the electrical cabinet doors. Interestingly, despite the very late date of the GP60s cataloging a cabless B version was also offered. Sales for this variant, however, was purchased only by the Santa Fe which picked up 23 examples numbered 325-347. From a sales standpoint the EMD GP60 was somewhat successful. However, only a few Class Is ultimately purchased the model including Norfolk Southern, AT&SF (40, numbered 4000-4039), Southern Pacific/St. 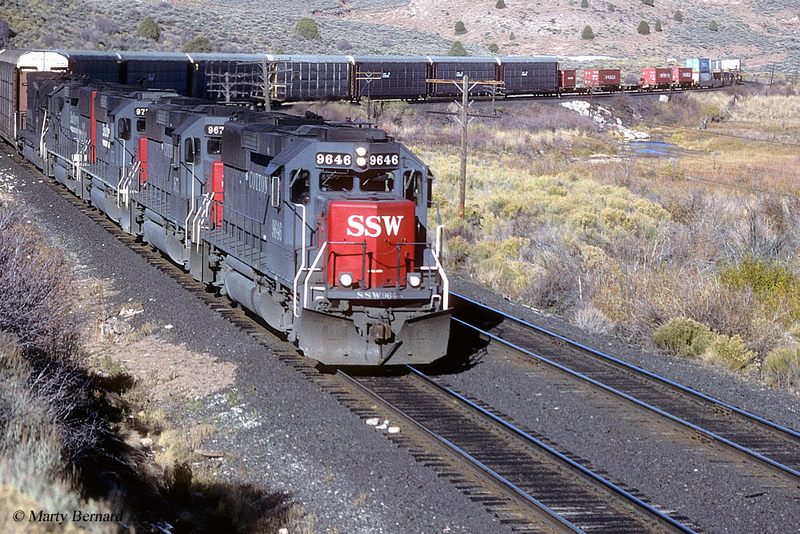 Louis-Southwestern Railway (195, numbered 9600-9794), and the Rio Grande (3, numbered 3154-3156). Additionally, the U.S. Department of Energy purchased one and the Texas Mexican Railway picked up two (869-870). It was the Santa Fe who appeared to like the EMD GP60 most, and liked to employ the units in fast freight service along its Chicago-Los Angeles main line. Even though the SP had the largest fleet the AT&SF owned the most variants. Along with purchasing B units it also picked up 63 examples (numbered 100-162) known as GP60Ms. The only difference in the GP60M was its wide, safety cab. No common in contemporary railroading the wide cab design was just catching on in the late 1980s. 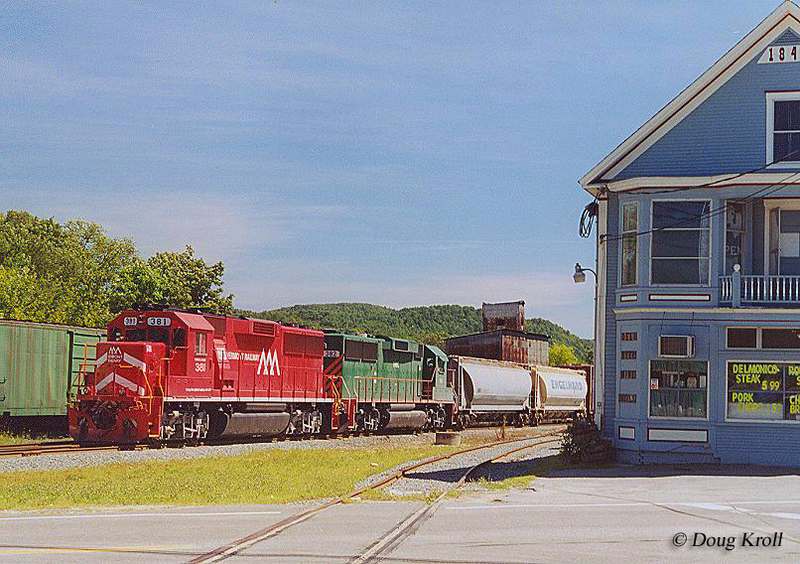 The AT&SF received its order of these locomotives between May and September, 1990. Despite only a few hundred being built most GP60s remain in use due to their relative young age and reliability (some, however, have been wrecked during that time and subsequently scrapped).